I travel a lot because of my job, so I decided to rent my apartment these dates. 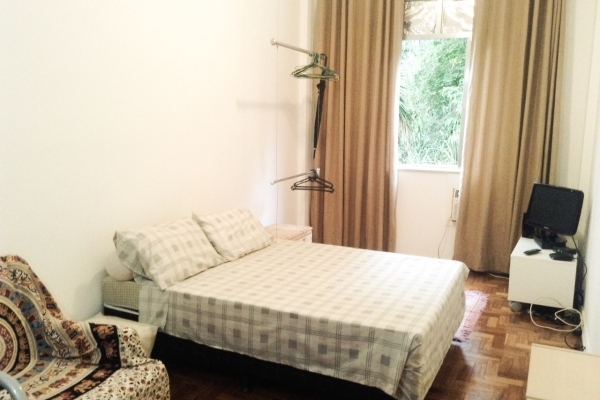 The apartment is arranged for you and your family can have a pleasant stay in Rio. The building is simple, but offers 24 hour security. In Botafogo Praia Shopping Center, a large supply of good restaurants, supermarkets, coffes and cinemas. Transportation to everywhere in Rio de Janeiro on your door and subway a few meters (Botafogo station). Metro to downtown or Copacabana, Ipanema and all stations. Lot of public transport around the apartment all places in Rio de Janeiro, including the main tourist points: SugarLoaf, Copacabana, Ipanema and etc. Rates are for two people and include absolutely all costs. The rates are not valid for Carnival and New Year periods. Please check rates and special conditions for these periods. I will do my best for you to stay in Rio become a wonderful experience! You will love this city, I can guarantee you that.